Many countries around the world have a long history of café and coffee culture. Whatever the preferred brewing process and whatever the time of day, the small dark roasted bean has been bringing people together for hundreds of years. The earliest substantiated evidence of either coffee drinking, or knowledge of the coffee tree, dates back to the early 15th century, in Yemen, at the Sufi monasteries. This soon spread to Mecca and Cairo, and by the 16th century, it had reached the Middle East, South India, Persia, Turkey and Africa. Coffee has since spread to the rest of the world, from South America to Australia, which is known for its coffee culture. Drinking coffee was elevated to an art form by many establishments, creating the great cafes of the day, that today are a mixture of architectural gems and tourist attractions. Caffe Florian in Venice and Café Procope in Paris have the distinction of being the two oldest coffee houses in continuous operation, having opened in 1720. In Vienna, another city famed for its coffee culture and the only one to claim that it has UNESCO status, there is Café Central and Café Landtmann, both landmark establishments. 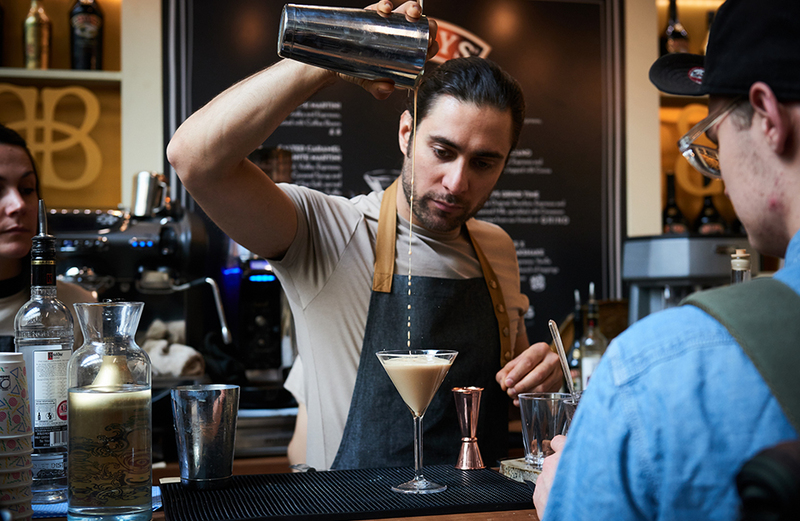 In the last decade coffee culture has exploded once again and this time its global: from Taipei to Cape Town and Dubai to Seattle stepping out for a coffee and having it your way has become personal statement. While chains such as Starbucks and Coffee Bean & Tea Leaf may have helped with the global push and consistency, the market has grown exponentially and also created room for regional chains and independents and a host of supporting bakeries, the latest of which to take the UK by storm has been Danish bakery Ole & Steen. 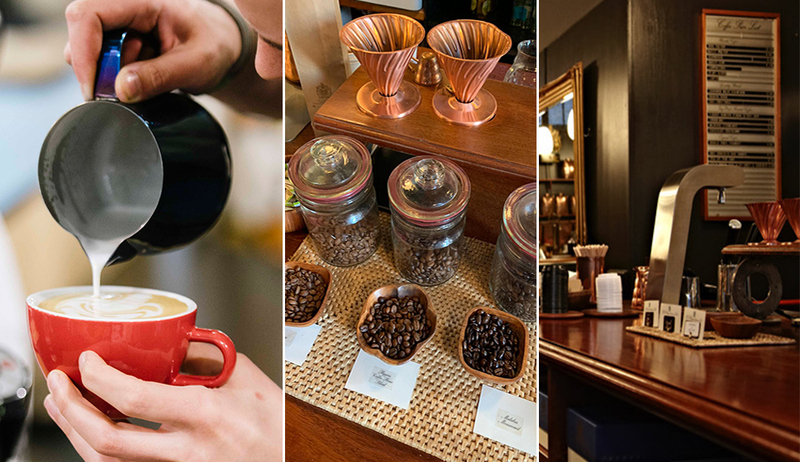 London is celebrating the noble bean from 28th – 30th March, with the London Coffee Festival: a true celebration of all things coffee related, that includes not only roasting, tasting and temperature profiling, but also latte art, coffee music and the Danish Bakery. Spirito di Milano – coffee at the counter: great interiors, by leading architect Claudio Silvestrin (who also designed the impressive Hampstead property Beauchamp Estates is instructed on, Cannon Lane), and coffee and pastries that never fail to impress any time of day. 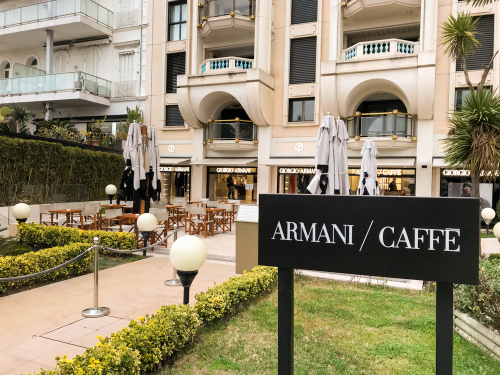 An Italian, serving coffee in France: part of the Armani group, located on La Croisette, Cannes. 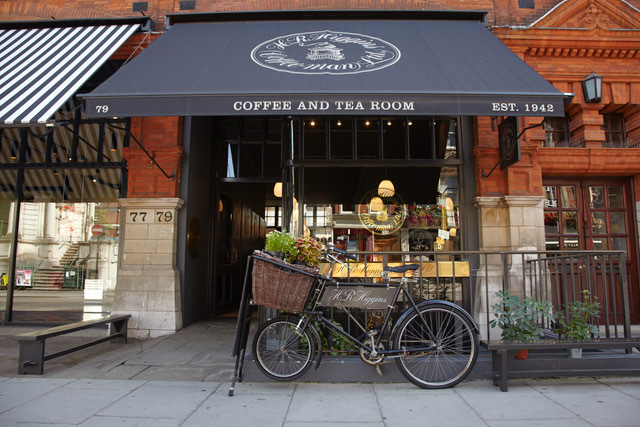 This chic spot is perfect for coffee and people watching. On Rue Hoche, Cannes, they know their pour-overs from their flat whites. Tea aficionados will not be disappointed with the infusions and choice of green teas: with fresh juices, bread, pastries and cake all very tempting. The Mykonos outpost of local Greek chain, Fresh: delicate flavours, French flair, ingenious packaging and distinct confectionery all come together. The finest ingredients - without preservatives and artificial flavouring - and of course, great coffee and great breakfast with views. The Liberty Breakfast Room is located a little distance outside Mykonos Town (Chora) and opened its doors in 2016. The large, atmospheric dining room and wonderful terrace offer great views. Don’t let the name fool you, this is a great place for brunch, lunch and even cocktails. 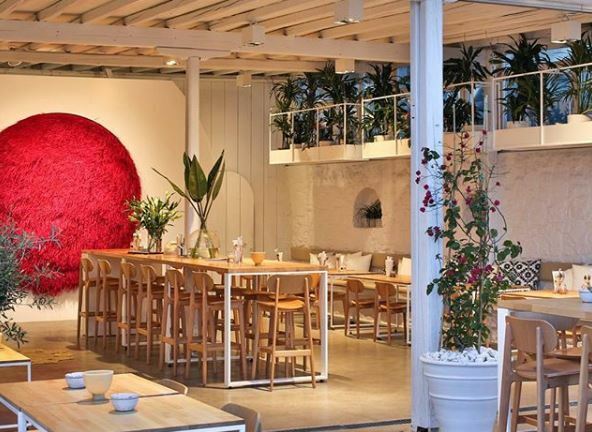 Bowl was started by Australian husband and wife team Victoria and Robert Fisher, who realised their long-term dream of moving to Mykonos after getting married on the island in 2000. Bowl is a passionate celebration of their love of Greece, healthy, delicious, organic foods and juices, sourced locally where possible, while also offering vibrant options for diet conscious vegan and gluten-free diets.